In a new, predatory ice age, two brothers search for a place to call home. The post-apocalyptic world is not a new one for those of us that watch a lot of short films, and there are very few films where they manage to create something wholly new. 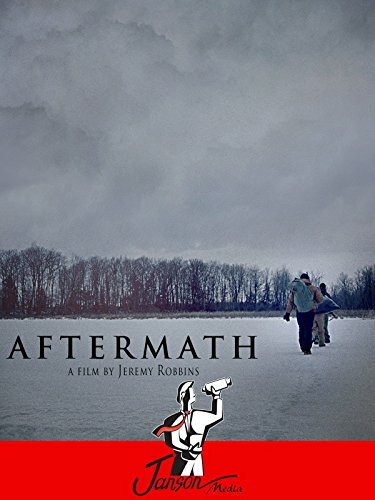 Aftermath isn't one of those films, and it does have a pretty familiar feel to it. However it does still work because it is stripped down and simple in what it wants to do. The first thing it does is create a simple, cold world where survival is on a knife's edge and death is sudden if you are lucky. The second thing is to put a pair of brothers as the central characters, with the older very much sheltering the younger – perhaps too much. The journey of the younger brother away from that protected state is well done here, with sudden violence played out against a cold backdrop. It isn't amazing as a plot, but it captures the cold, crisp place very well, and it reproduces that coldness in its world and characters. This does produce something quite dramatic and simple – and it works well for what it does.